Cable’s insulation can be one layer (materials like EPDM, silisen, silicone) or two layer (EPDM/EPDM, EPDM/Silicone). The colour of theinsulation is to customer’s choice and requirements (eg. logo). The standard colours are black, yellow and dark blue. The inscription on the cable is created by means of a special ring. A standard inscription can be used or one prepared to custom. The high of the inscription is 2.5 mm, and its maximal length is 270 mm. Usally the same inscription is repeated two or three times on the ring with 15-30 mm gaps eg. The above inscription on the cable is 113 mm long with a 22 mm gap and repeated twice on the ring. The inscription may contain an image and any text. Simple characters such as Arial are recomended. Bold face or italics may be used however underlining should be avoided. It should be remembered that the graphics (cod name, logo) will be shown in one colour only. The time to prepare a ring is 10 days. The inscription can be made in any colour. White, black, silver and golden are considered standard. Other colours depending on the material of the insulation of the cable and the colour may be available within one month (usually it is 2 weeks). In case of universal boots our client has a wide choice among different materials (EPDM, SEBS, Silicone) and different shapes. The best illustration is a simple spark plug boot. In case of boots or rather specialized sets the options is quite limited. It results from the fact that such ports are highly specialized and made for only one type of engine. Ignition wire sets unit packaging can be made to customer. 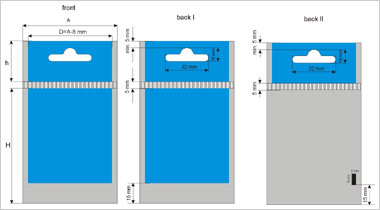 Typical types and sizes of packaging use can be found below. When employing typical solutions (sizes shown in the description) the time to prepare the first series of packaging is 1 week. In case a new pattern is to be adopted the time to prepare is 3-5 weeks. Recommended materials is cardboard Baltica 400 g/m2 or MCM 450 g/m2. Plastic bag can be used with or without a description. 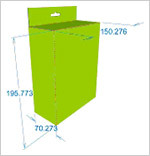 Approximate standard size of the bag is 254 mm in width and 360 mm in length. The bag may be with a tab with a eurowindow. The standard size of the tab is 254 mm in width and 60 mm in high. The tabs may be white for the identity label or the bar code or the tab may be covered with a pattern supplied by a customer. Collective packaging may be adopted to your needs. 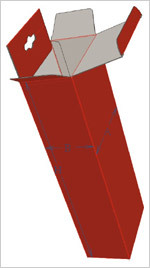 It is possible to use cardboard of a desired thickness (3, 5 layers) and the type of its surface (one or two side white or gray). 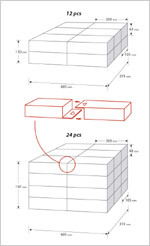 The size of collective packaging may be adopted to your needs regarding the number of packed sets and their arrangement in the collective packaging. 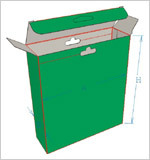 An example of arranging boxes in the pack is shown on picture. We are owners of one of the best prepared catalogues including European, Japanese and American makes. We adjust the cataloque to the demands of the customer regarding the code name of sets and graphics. We supply by means of Excel, Access or Word depending on the customer’s requirements. It takes 2 weeks to prepare a catalogue and the recipient bears no extra costs. The above offer presents our capability of adjusting our products to the needs of each individual customer. We hope that due to our flexibility your perceive a chance for further cooperation on the market of automotive parts. 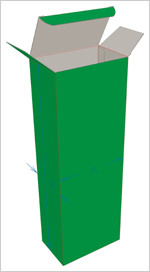 The above described elements may be supplied to use only for the purpose of processing (production of sets) according to the client’s requirements. If you need further information or questions do not hesitate to contact us. Your questions will not be left unanswered. 95-200 Pabianice, Spacerowa 6/8 str.